Mosquitoes are widespread and prefer to live in warm, humid tropical regions. They have spread across the world mainly by humans where they inhabit objects such as water-filled containers like tyres or cut flowers and are transported by sea, vehicles, trains or aircraft. Mosquitoes have no respect for international borders and a mosquito borne disease can be spread quickly from human to human, causing major outbreaks. Each year, viruses transmitted by mosquitoes kill more than a million people and over a billon are infected causing brain damage, blindness, serious illness and debilitating pain. Some of the main and well-known diseases included Dengue Fever, Yellow Fever, Malaria and the West Nile Virus. So, where are the worst places in the world for mosquito? It is believed Brazil, Indonesia, Malaysia and Thailand have the highest numbers of mosquito species. Australia, Indonesia, Philippines and Brazil are recorded to have the highest number of endemic species. However, it is the whole of Africa, South America and Asia where most of the mosquito-borne diseases occur. The mosquito-borne tropical disease, Dengue Fever affects the whole of the Americas, Asia and Africa and is the most rapidly spreading virus by this vector. Between 50-100 million people contract the virus every year and the numbers are growing. The virus is not usually fatal, but it is the leading cause of death for children in Latin America and Asia. 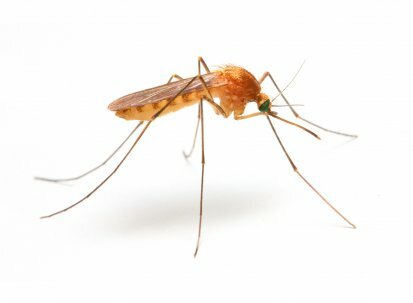 If you are planning a hike in the jungle or an exploration of the cities in Africa and South America, you are at risk of contracting the yellow fever virus. Currently it is considered endemic in 30 African and 13 Central and South American countries. It is estimated around 200,000 people each year are infected and 30,000 of those people die from the virus. The West Nile Virus was first identified in East Africa but it has since spread widely across the world. The virus is considered to be an endemic pathogen in Australia, Africa, Asia, the Middle East, Europe and the United States. In 2012 the virus infiltrated Texas and a record 286 people died as a result. Mosquitoes have diverse habitats that allow them to colonize different kinds of environments. They thrive in fresh or polluted water, so remote areas where there is poor drainage are a haven for mosquitoes. Generally they are widespread throughout the tropics and temperate regions, so basically a pretty large portion of the world. There are not many places in the world mosquitoes don’t populate. Antarctica is mosquito free and new research suggests there are no mosquitoes in Iceland, New Caledonia, the Central Pacific Islands and the Seychelles in the Indian Ocean. Not much choice if you want to escape the worst cities for mosquitos and their itchy bites.